Yesterday my husband and I took a lesson in Stand Up Paddle Boarding. On the weekend we like to take long walks with our dog at various nearby beaches and seeing the paddleboarders in the Newport Bay sparked our interest to try it. We signed up for a class at our local REI and it ended up just being the two of us with our instructor, Scott, who was fantastic. The class is held out of the Newport Sea Base, which is also where Chapman University houses their crew center. We had to dodge the various crew boats out practicing which made things interesting. I grew up canoeing and sailing in a tiny sailboat so steering the board around wasn't too difficult but my first time getting from knees to feet was a bit exciting. Neither my husband or I fell off but in retrospect we probably should have practiced falling off and getting back on the board while in open water. It was a lot of fun. People had told me that my core would be sore afterwards but I most felt fatigue in the balls of my feet - I was attempting to cling to the board with my toes initially but once I was conscious of that I later felt tiredness in my hamstrings. My husband tells me his quads are a bit sore today. We had three different types of boards and our instructor had us trade boards to get a feel for how they maneuvered. I've got to say I am a fan of the big, dock-like board the best - slow and steady, lol. We definitely want to try it again, maybe with our kids. We love to bring our dog, too, but I'm going to need a lot of practice before we do that. The weather was sunny, breezy, and started off in the mid-60s. I wore a lululemon H20 Energy Bra and a pair of Shanti Surf Hipsters from two years ago under Athleta Swim Tights and an Athleta Pacifica UPF LS top. I've got to say this outfit was perfect for Paddleboarding. The tights were lightweight, stretchy, and dried quickly. They're a bit see through in a bend so you need to wear a bikini bottom underneath. I like Athleta UPF tops since they're fairly cheap, comfortable, durable, and come in solid colors. I am totally in love with the H20 Energy bra. I wore it a couple of weeks ago to the Great Wolf Lodge indoor waterpark and it was perfect - comfortable with great coverage. This top is wonderful for water parks or for carrying a clinging toddler in the pool when you don't want to give people a thrill when he grabs you in the wrong spot. I am thinking of getting a second one. Awesome! I love Athleta UPF shirts as well. I want the energy H2O, but they haven't stocked them in my store. The GE seems to think they won't, but I think that would just be weird not to. I may have to get one now, you may have pushed me over the edge! HAHA! How did you find the fit of the H20 Energy Bra? I tried the paradise camo multi in my usual energy bra size. I wanted to keep it but the band was so tight and had no stretch to it that it was so uncomfortable. Wondering if the blue one fits differently. I wanted to like it!!! I took went SUP paddle boarding last summer here in Seattle on Lake Washington with a friend who did it before. We were out there for a couple of hours. I was shocked I didn't fall off as my balance is not the best. The hardest part for me was just getting up after paddling our boards out on our knees. It was fun, but yeah, the wake from motor boats was challenging! Glad you had fun, I'd definitely go again! @ anon 7:12 pm - I sweated through the wake every time. After trying it I'm super impressed by people who do yoga on a paddle board. I have enough trouble with balancing on land, I can't even imagine trying poses while floating. @a non 5:27 pm - I thought it was the same as a regular energy. Maybe the blue does fit differently. I haven't tried the other colors on. @ anon 4:46 pm - The water stuff is only in some lulu stores. Order it off the web. The Newport Beach store has H20 Energies if you want to do a phone order. I also found the H2O energy bra to be too tight in the band, and I tried all three colours. It's also tighter in the bust and gives more coverage. I was hoping the fit would be exactly like an actual energy bra and was disappointed. I don't know if anyone else has found this with the H2O energy, but I noticed that mine scratches me on the inside where the openings for the pads go. It isn't severe, but it's enough to be annoying enough to adjust/scratch every once in a while. I'd love to get a sup board. One review of the h2o energy stated it wasn't as supportive did you find this true? I would wear it running during a tri. I've heard ofotherswearing sports bras during tri's. @ janine57 - I actually thought it fit a little looser through the bust then a regular Energy bra. The material is less stretchy so maybe that is why people say it feels tighter. I can't run in an Energy bra anyway since the straps have too much give. I didn't feel the straps had any less give than a regular energy so if you can run in a regular Energy you could run in this one, I would think. 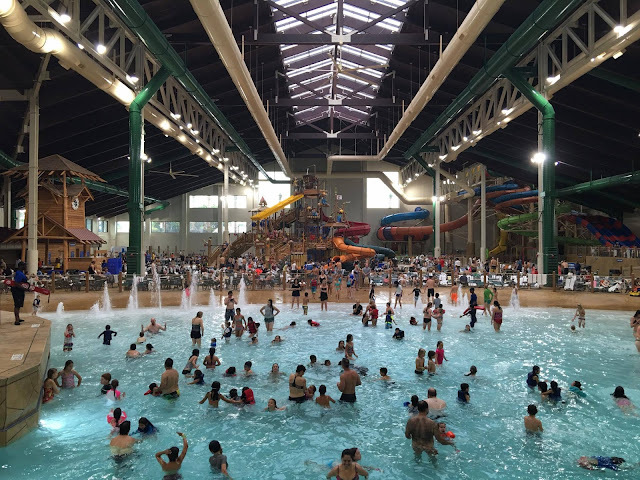 Which great wolf lodge did you go to? I'm going to the one in Garden Grove next weekend. Any tips? @llorentzen - yes, the Garden Grove one. Find a table near the boogie board area. There are fans there and it's relatively cool. The tables behind the wave pool are in the warmest area.